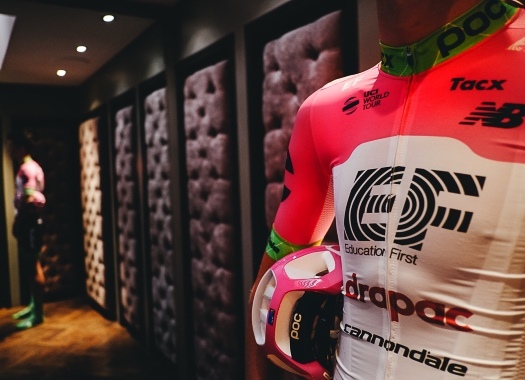 After two seasons at Dimension Data, Lachlan Morton has signed with EF Education First for the 2019 season. The Australian rider hopes to have a better 2019 season that the last one when he was out of competition due to a broken arm caused by a crash on a training ride. "I'm sort of itching to get back into it, to be honest," he commented. Morton stepped up to the WorldTour with this team that had back then the name of Garmin Sharp and after four years he makes his return. "Lachlan’s return to the team is something we’ve been excited about for some time," said CEO Jonathan Vaughters. "His climbing talent is quite clear, and his racing style can be very aggressive and fun to watch. I’m particularly keen on exploring some alternative races with Lachlan. "A couple of years back, he dropped into Leadville when we sent Joe Dombrowski. That’s the kind of stuff we’ll be doing more of, and Lachlan will be a key part of that. We haven’t nailed down the exact alternative program yet, but it’s going to be a fun way to get to the races and interact with different groups of fans and racers."